3 Quarters Dead was formed back in 1999 with original members Kenny Wyatt and Mark Alexander. After they returned from a tour with Mushroomhead, they began recording their second full length CD with Steve Felton (Skinny) of Mushroomhead. The vocalist at that time was Waylon Reavis who was recruited by Mushroomhead to take the place of J-Mann (aka Jason Popson) who had announced his departure from the band. After starting all over, they finally found a vocalist that suited their style of music. Jason Sain started with the band in late 2007. In 2008 they recorded “Between Angels & Demons” with producer Jamie King of ‘Between The Buried & Me’, ‘The Human Abstract’ fame. In late 2009 they signed with indie label ‘Project Alpha Music’ and released their latest effort “Once Upon This Broken Glass” in March, 2010. The lead single, “The Unknown” is off of their new CD “Once Upon This Broken Glass. It about loving someone who does not love you back. This song has many melodic sections to it. But when you hear the change ups which are dynamic, it sets a tone of a story being told through 3 degrees of separation. These three levels are clearly defined and portrayed beautifully by the talents of these individuals. As the entire CD will demonstrate, 3 Quarters Dead have developed into a focused talent with undeniable audience appeal. These band members are learning every day about each other’s personality, their individual talents and ultimately a combined talent. Each contributes their skill, technique and history with every note they play. Their sound is unique showing their audience their ability to tell a story the way a story should be told. 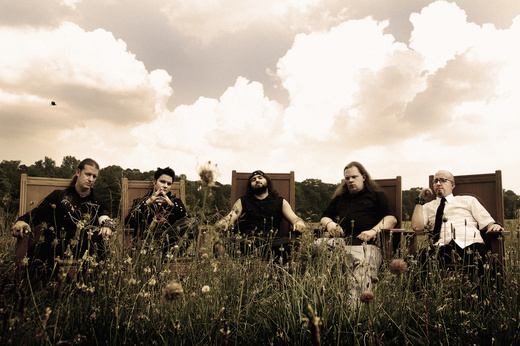 3 Quarters Dead has toured with bands such as Avenged Sevenfold, Mushroomhead and Dope. They played shows with Shinedown, Stuck Mojo, Switched, Nothingface, Chimaira, Gwar, Shadows Fall and many others. Their video for their single “The Unknown” was launched on MTV and Fuse and placed on Fuse On Demand and on various websites such as clever.com, revolver, spiketv and others. They also get regular airplay on 106.5 The End in Charlotte, North Carolina and 100.3 The Buzz in Greensboro, North Carolina, both being a Clearchannel Broadcasting station. They are currently doing local shows.